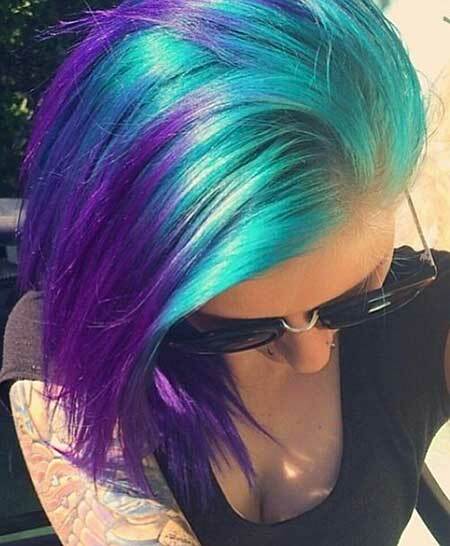 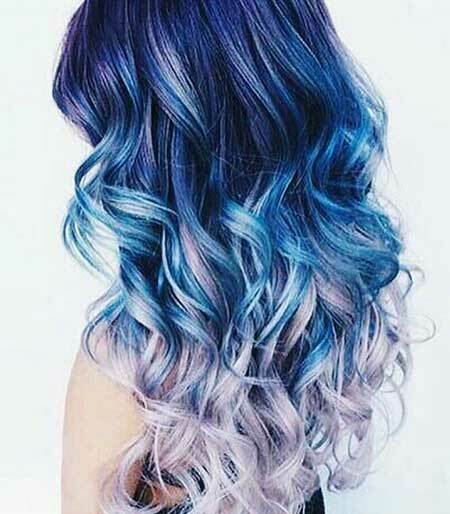 Mermaid hair coloring trend was really popular among young women and it is still in trends so if you think that it is a fascinating hair color for women check our gallery below! 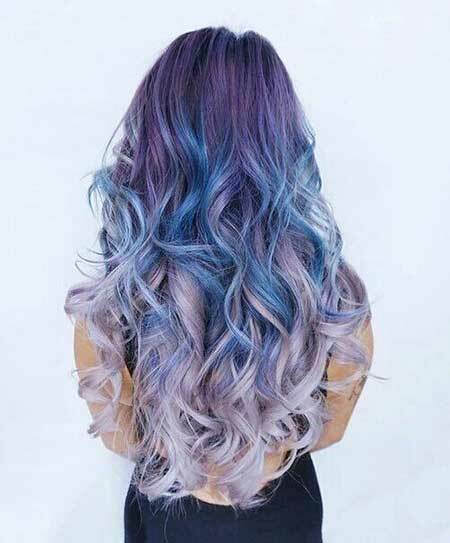 As I mentioned before the color combination is very important as you can see purple-blue and the icy blue color looks great together on this sleek straight long hair. 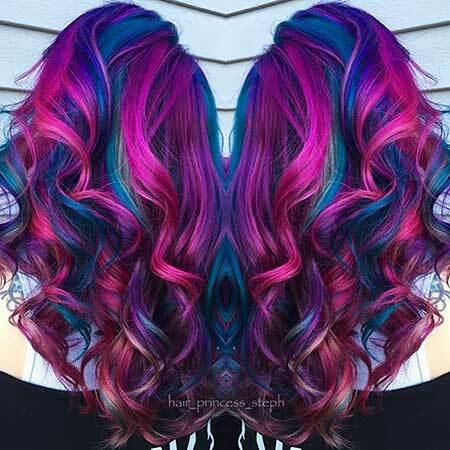 Red, green and blue nicely blended for this one and big soft curls add nice style too. 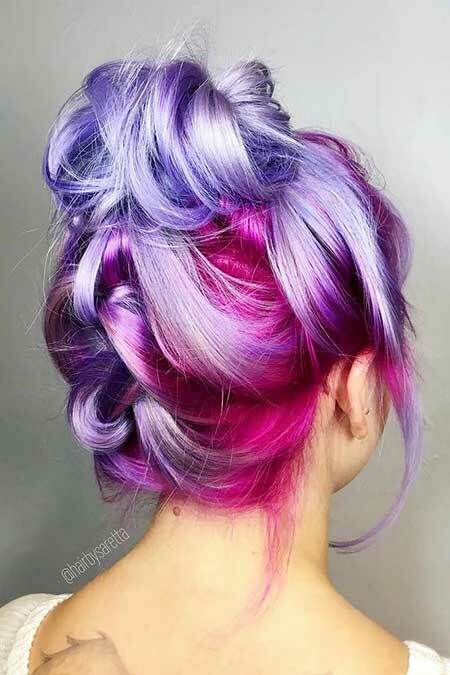 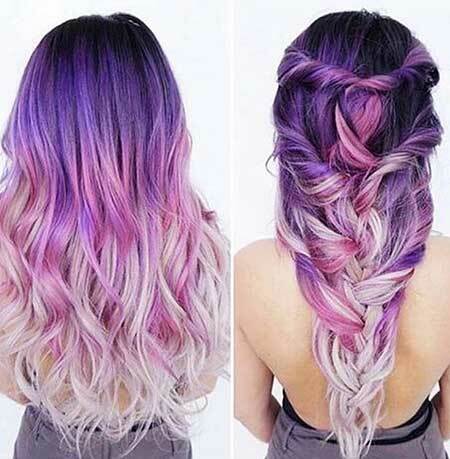 Pastel hair colors are trending recently and this lilac and pink hair look definitely gorgeous with this messy bun. 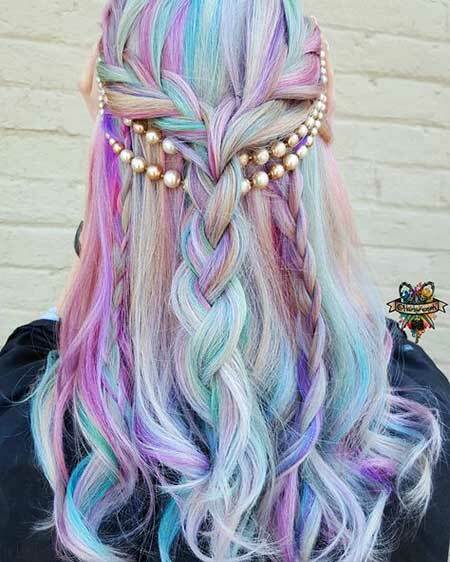 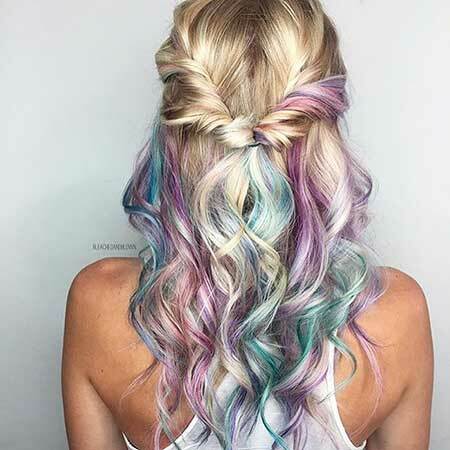 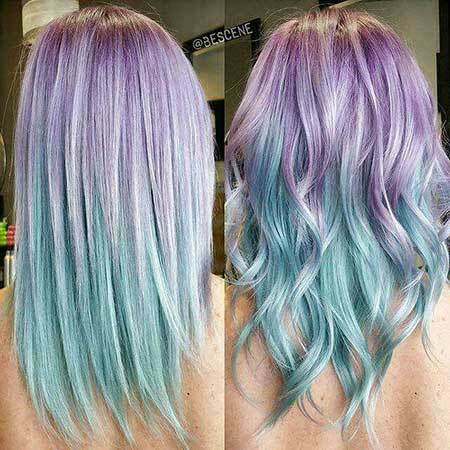 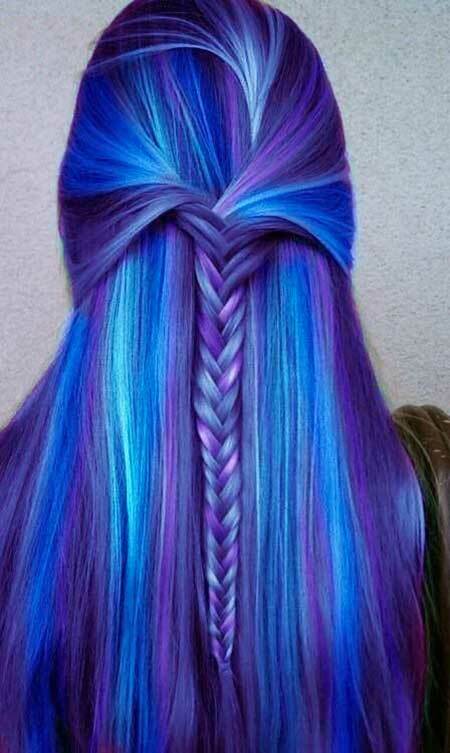 Ombre coloring has never been this cool, pastel green and purple looks great together! 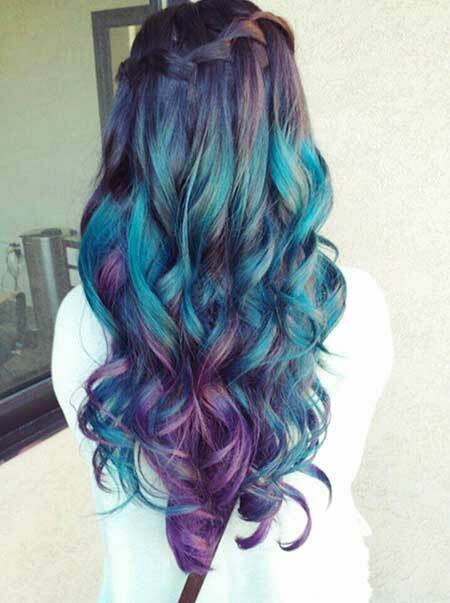 Green color and purple balayage ombre is definitely a good choice for girls who like appealing styles.